I’m a day late for Small Things Yarn Along but I have knitting, I have books so I’m going to play anyway. 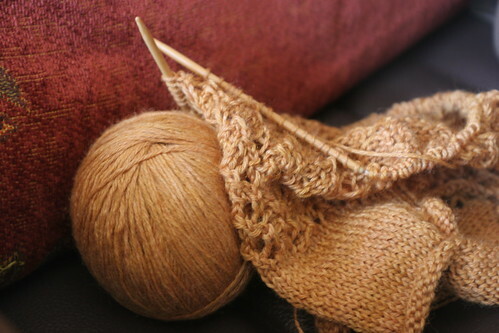 First off – I’m knitting a (very) belated ‘Hurrah, you’ve been born!’ present that hopefully we be given at the weekend. 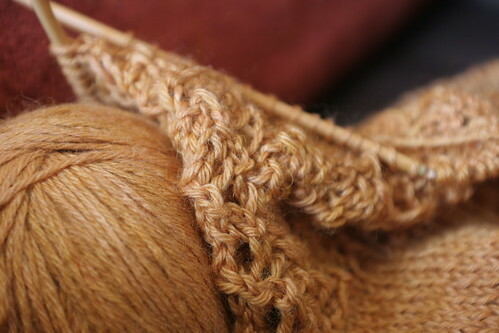 It’s in OxfordKitchenYarns BFL/Bamboo Sock yarn, which I love knitting with. I’m knitting another Country Kiddie by Brandy Fortune. I haven’t knit one of these since FB was still a bump, and I’d forgotten how much I love this pattern. It’s simple and fun to knit and I’ve knit it differently every time I’ve knit one. 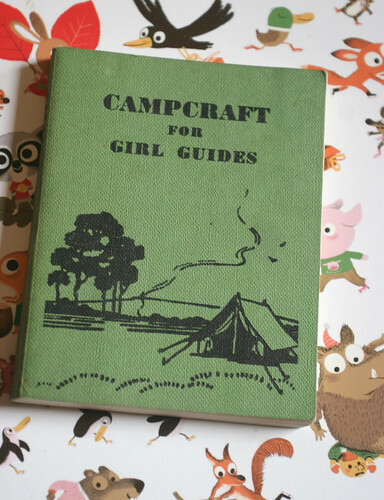 I took my guide promise at my first camp when I was about 11, and got my camp permit at 13. We made our own kitchen sinks from a plastic bowl and string and canes. I would love to own a proper canvas and solid wooden ridge pole tent like the ones we camped in, even though you need about 4 people who know what they’re doing to a) physically move it anywhere and b) get it up. But it was beautiful and I loved it. Anyway we are hoping and planning to take the children camping at least over night this summer, with the plan of more camping holidays to come. And so I wanted to remind myself of what I was taught, and went back to the source. I would love to see all of your projects. Your works are all beautiful! By the way, where I can buy that book in the picture? This book is a must read if you love knitting and reading. Great camp you have!